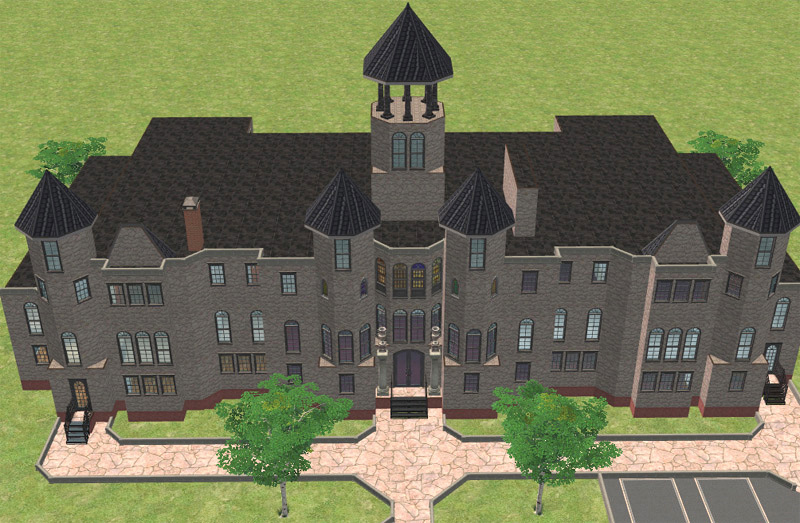 Here is my version of Tadfield Manor, from the novel Good Omens by Gaiman and Pratchett--home of Sister Mary Loquacious and the Chattering Nuns of St. Beryl, later converted to a convention center and paintball grounds for the upwardly mobile and frustrated. 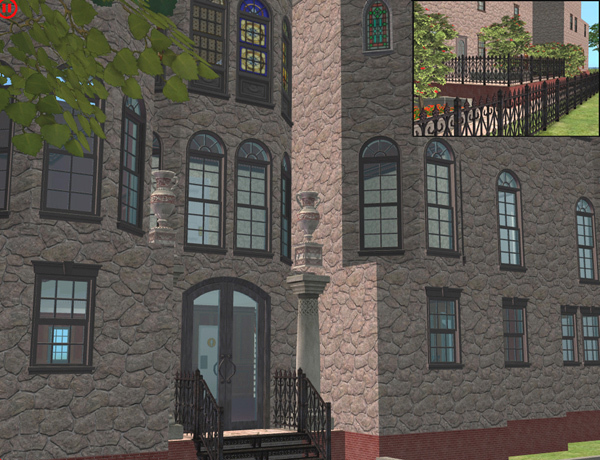 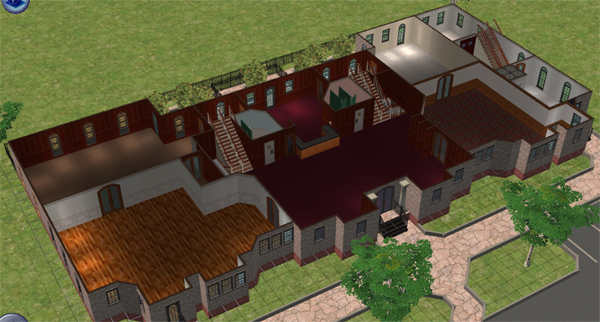 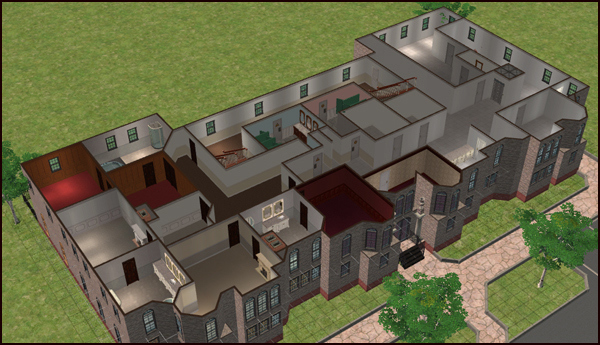 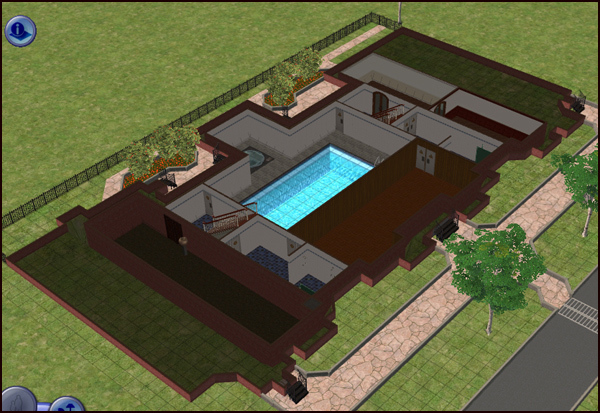 Please be advised that this is a large three-story community lot with basement, and will cause significant game lag on slower systems, especially with many Sims present! 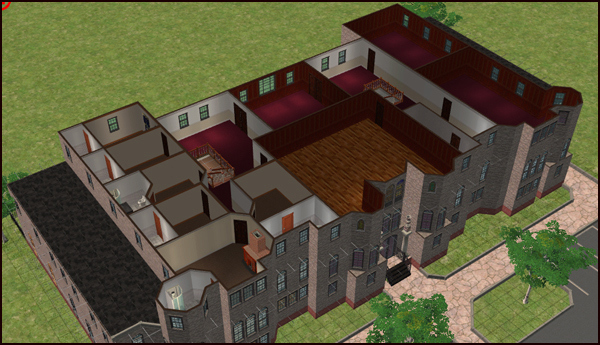 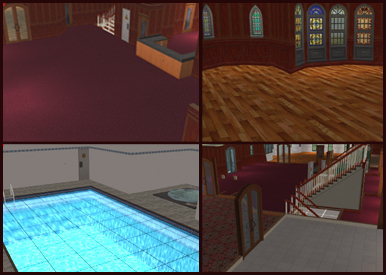 The Manor is furnished only with bathroom fixtures and a few other Maxis items so you can decorate it as you like.